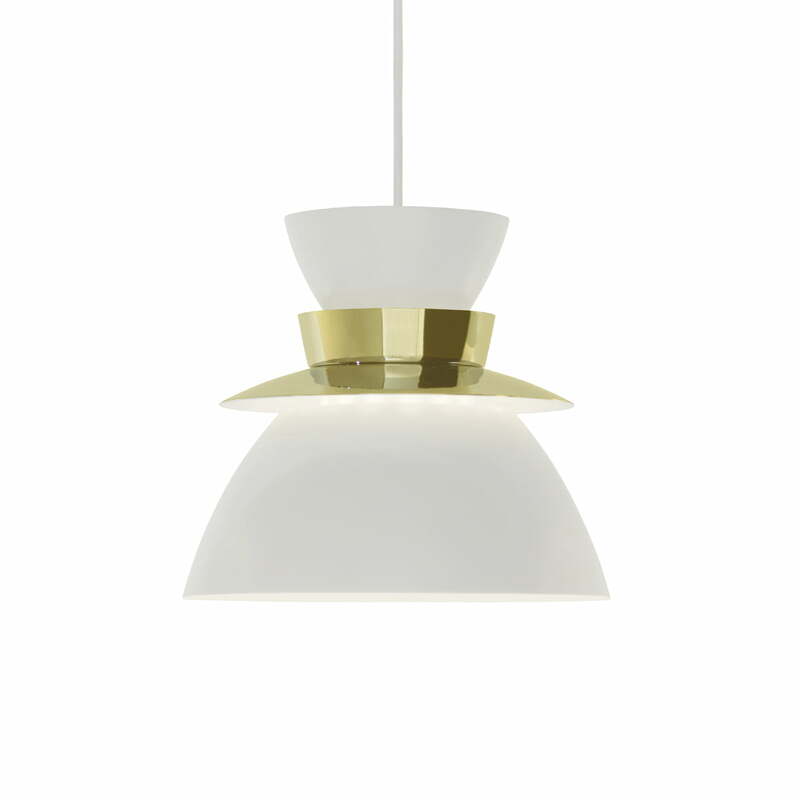 Jørn Utzon designed the U336 pendant lamp for Artek in 1957. At the same time, the architect began designing the Sydney Opera House. You can clearly see the parallels between the two shapes. 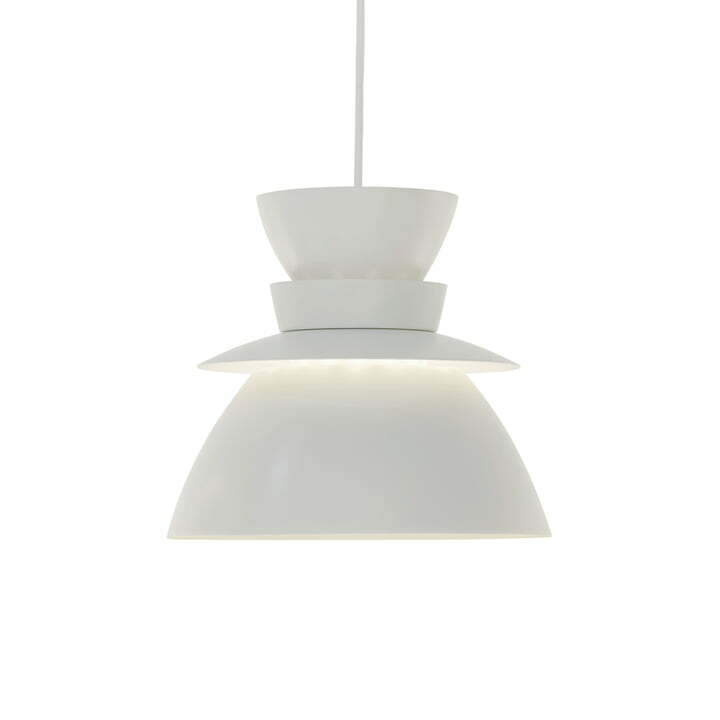 The U336 lamp consists of white painted steel. An additional collar is attached around the narrow neck of the lamp, on which light from the bulb inside is also emitted. With two light sources and innovative design, the U336 pendant lamp is a stylish addition to the living room.The collar of the lamp is available in white, chrome and brass.